The Undead Bar Association: Book 2 is here, plus updates on the Series. Book 2 is here, plus updates on the Series. 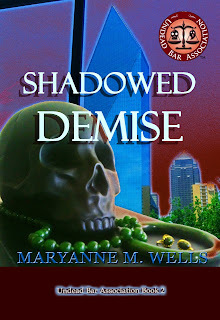 Book 2 of the Undead Bar Association series, Shadowed Demise, is now available through Amazon. The story: ﻿The tale opens in Dallas, Texas, present day. It's the summer between Maryanne's first and second years of law school. Maryanne moves to Dallas for the summer, to work a legal clerkship with a local firm. 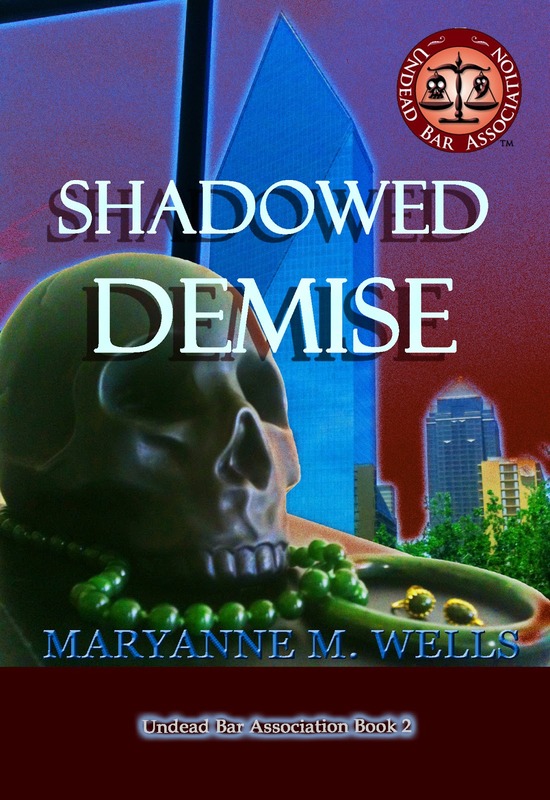 Sounds normal, and it would be, except for two things: the law firm is run by vampires, and Maryanne must serve them to protect the lives of the Undead Bar Association members. Dallas, city with a rich past, has secrets to share with Maryanne. You know the old saying that begins, if walls could talk? In Dallas, entire buildings have things to say. As Maryanne learns the stories of the places around her, she becomes aware of a dangerous mystery...a string of murders and deception dating back half a century, to the assassination of President John F. Kennedy. Readers will travel back in time to November, 1963. They'll step inside Jack Ruby's Carousel Club, see the assassination of the President through the eyes of observers on a courthouse balcony, and watch as Jack Ruby shoots Lee Harvey Oswald. Then, the reader returns to the present, and sees the impact of the past. Of course, no one feels the impact more than Maryanne. She's being haunted. Justice doesn't like having its hands tied, and neither does Maryanne Wells. She may be enslaved to the vampires, but that doesn't mean she won't fight back. It's time to get justice for the dead and the living. Update on Book 3: I've been working hard on Book 3. It combines action and characters from two of the stories from this blog, Binding Precedent and Until Death. You can still read bits of those stories on the Stories Page of this blog. Integrating all the ideas is interesting. It's very different from writing Shadowed Death from scratch, but still challenging in its own way. One big change from the blog stories will be the absence of a character. I'm pulling Absola Trotsky. Temporarily; please, no angry messages from old blog readers who like the character (especially a certain college roommate with initials M.E.). There's just no room in Book 3 to do her justice. I'll introduce her into the series in Book 5. Update on Book 4: Research for this book rocks! I love it, especially when it requires me to drive all over the state of Texas, visit state parks, and hike through canyons. If you enjoy the historical fiction aspect of Shadowed Demise, I think you'll love Book 4.